The Plot (via Amazon) Whether she likes it or not, ten-year-old Piper Lee DeLuna is about to get a new family. Four years after the plane Piper's daddy was piloting disappeared, her mama is remarrying. The way Piper sees it, Mama's being plain disloyal. Besides, who'd want to get stuck with a prison guard for a stepdad and that weenie, Ginger, for a stepsister? But when Piper Lee hatches a foolproof plan to get the wedding called off, it quickly spirals out of control. And by the time Piper realizes what she’s done—and just how much she really cares about her new family—it might be too late. Told in Piper Lee's irresistible Southern voice, A Smidgen of Sky is about new families and new beginnings. The cover, for starters. Who doesn't like sunflowers?! I was gripped by the climax of the plot, in which there's an incident at the prison where Piper's potential stepfather, Ben, works. Ginger's worry about her father's safety, Mama's attempts to keep it together, and Piper Lee's realization about the harm she's caused did actually make my own eyes moisten. Powerful writing! 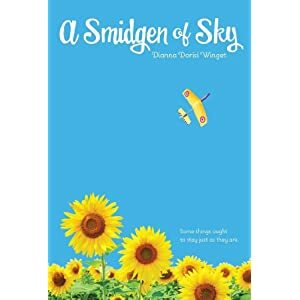 1) Tell me about the writing of SMIDGEN OF SKY. How did the idea come to you? I wish I could remember how the idea first came to me! I’ve always been intrigued with the South and knew I wanted to set a story there. The character of Piper Lee came to me before the story. I think things just slowly evolved into the book it became. Plus, I married into a step-family, and know some of the great challenges it can present, so the idea of Piper Lee resisting her mom’s remarriage was a natural. 2) Tell me about your publishing journey. My publishing journey was a long and often frustrating one, interspersed with just enough success to keep me going. I sold a number of short stories and articles to children’s magazines, which helped to get my foot in the door, and boosted my self-esteem. But my dream had always been to write MG novels. I decided early on that I would never go the self-publishing route, I was only interested in traditional publishing. So to mak a long story short, I spent years trying to perfect my craft, querying agents and editors, getting rejected, and trying again. Little by little, the form rejections turned into encouraging notes scrawled on the side of my manuscripts, and I realized I was getting closer. 3) What are your favorite middle grade books? What are you reading right now? 4) If you could travel anywhere in the world, where would you go? 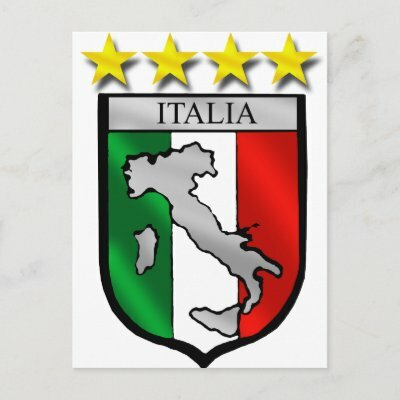 Probably to Sicily, since I’m Italian and that’s where my dad’s family is originally from. If you want to know even more about Dianna, here's her WEBSITE. Thanks, Dianna, for answering my questions, and for writing such a powerful middle grade novel. Folks, look out for this one! 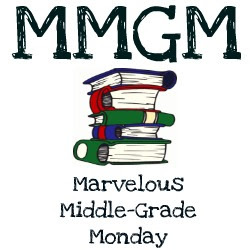 Have a Marvelous Middle Grade Monday, Everyone! Ciao!! I love the title and cover of this one! Thanks for the interview, Dianna. It's encouraging to see that perseverance does result in reaching writing goals! Sounds like a sweet book, Michael and Dianna. And Dianna, I'm impressed that you're not a Southerner but can create a believable Southern character. Writers really are magicians, aren't they? Kudos to you for never giving up during that tough journey to publication. Michael? Order of the Eggplant? I hadn't heard of this one, so thank you, Michael. Long, tough publication journeys are encouraging to me, so thank you for sharing yours, Dianna. I also love author stories of perseverance. Thanks for the interview and congratulations, Dianna! I've seen Mary Kole's post about this story before but hadn't looked into it further. Thanks for covering it here. I'll definitely add it to my ever-growing list. I LOVE this cover! It is so beautiful! I also enjoyed the review and interview. It was fascinating to learn about Dianna's route to publishing. I wish her much success. This is a book I definitely plan to read. Thanks for sharing. I'm Part of "Brave On The Page."